He’s the demon-spitter. He spits demons. They also call him the Icon of Sin. 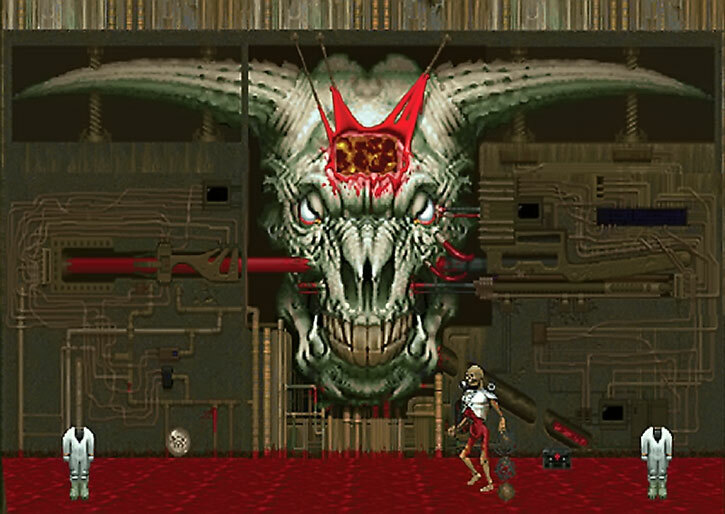 Baphomet is the unusual creature/device/gateway at the end of the original, 1990s DooM video game – a sort of final boss, as it were. 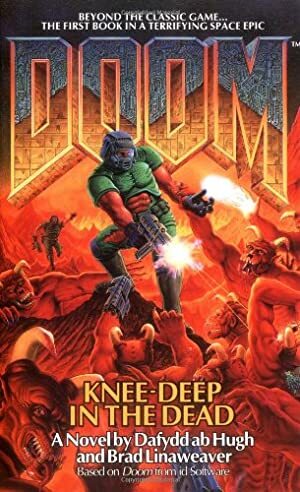 For those unfamiliar with this old game, we suggest perusing our entry for “Doomguy”, which has all the context information. Height: 3’/100’	Weight: 50 /100,000 lbs. Note: The measurements in front of the slash are for Romero’s head itself, while the measurements behind the slash are for the Emplacement. The disembodied yet still living head of the demonlord Romero sits inside an obscene mountain of twisted technologies and warped magics. It can create golden metallic cubes that summon more of Hell’s forces into our reality. The port through which these cubes are emitted exposes Lord Romero to indirect fire, a flaw which proved his undoing thanks to the steady aim of the Marine. 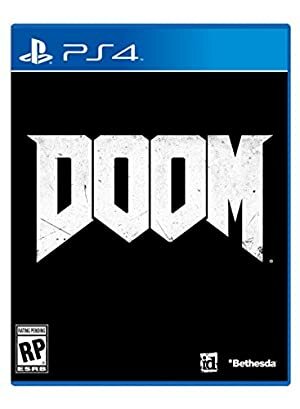 An explanation of the relevant DooM ][ map that the Demon-Spitter occupies. When an invading army of demons has sufficient time to establish a beachhead, they will assemble this device, allowing them to quickly summon more troops as needed. The appearance of the emplacement itself varies in detail. But it is always made of a building-sized mass of familiar human machinery reshaped by foul demonic sorcery. Its most obvious feature is the inevitable large ram’s skull embossed on the wall. In the forehead of the ram’s skull is a square port through which it can fire the sorcerous cubes that teleport hellspawn into Earth’s dimension. Manifest at the heart of the beachhead used by Hell’s armies. Summon random monstrosities to defend itself. Roar in outrage as its unholy life ends in fire. Dimension Travel can only be used to summon the following Doom creatures: Arachnotrons, Arch-Viles, Barons of Hell, Cacodemons, Demons, Hell Knights, Imps, Mancubi, Pain Elementals, Revenants, Spectres (BC: 100, FC: 4). Dimension Travel only has a Range of 4 APs and takes 3 phases (2 APs) of time to take effect; see the Demon Box below (-2FC). With Strange Appearance, Intimidation checks will get a -1CS to OV/RV. CPR (Immobile, no manipulative appendages), Strange Appearance (Still-living decapitated head mounted on a pike). TECHNO-MYSTICAL EMPLACEMENT [BODY 24, Growth: 15, Regeneration: 13, Bonus: Self-Repairing, Limitations: BODY can be bypassed and the demonlord inside hurt directly with a special Trick Shot — see Achilles’s Hole below (-1FC) ; Growth is Always on and only affects OV and weight/volume (-5FC) ; Regeneration only works on the Emplacement, not anything inside it (-0FC). This immobile fortress of enchanted human machinery houses the Demon Spitter. It is treated as an inanimate object for purposes of attacks against it]. When the Demon Spitter uses Dimensional Travel (Summoning), the power takes the form of an intangible golden box with the face of a skull on each side. The Box flies toward its destination at a speed of 2 APs for 3 phases. When it arrives at its intended destination, the Demon Box vanishes in a glow of eldritch energy, leaving behind a demonspawn as it recedes. If multiple PCs are attacking the Demon Spitter, the GM may wish to increase the speed listed above and reduce the flight time to allow the Demon Spitter to generate hellspawn more quickly and provide a more balanced opposing force for the players. Though the Box has no physical existence (and thus no BODY), it could presumably be intercepted and destroyed by a mystic attack such as Magic Blast. Assume that the Box has an OV/RV equal to its APs of Dimension Travel (12/12) for resisting Mystic attacks. The Box’s known relatives include Pinhead’s Lament Box and Egg Chen’s Six-Demon Bag. Anyone who has the poor luck to be standing at the exact spot in which a demon is spawned by the Box will suffer a serious calamity as their molecules and the demon’s molecules attempt to occupy the same space. This very rarely happens, fortunately for our intrepid heroes. If a character rolls a natural 2 (before rerolling) on any action while fighting a Demon Spitter, they will be “attacked” by the Spitter’s Dimension Travel Power. Treat this as a Physical Attack with an AV/EV equal to the Demon Spitter’s Dimension Travel (12/12). Both the Demon Spitter and the victim can spend HPs on this attack as normal. Since this is directly affecting the victim’s body, it ignores external protective Powers such as Skin Armor and Force Field. The victim can still benefit from “internal” Powers such as Invulnerability. If the victim has Dimensional Anchor, the APs of the Power can be added to the character’s RV. Regardless of the final result of the attack, the hellspawn being summoned appears normally immediately afterward. It does not suffer any damage from the telefrag effect. Though Romero’s head is mostly secure within the emplacement, it is vulnerable to some attacks. This vulnerability is a result of the opening through which Romero can emit his Demon Boxes. 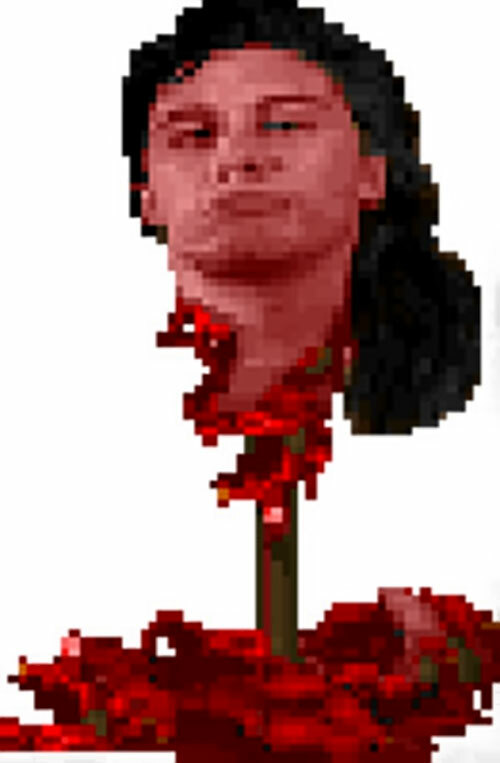 Romero’s head is not directly behind this port, but it is nearby. Thus, it can usually only be hit by two types of attacks. Explosive attacks may damage Romero’s head by exploding inside the opening and catching the head in the blast radius. Assume Romero’s head is 1 AP away from the blast for purposes of resolving damage. Indirect attacks may also be able to angle their way past the bends behind the port and strike Romero’s head directly. The GM will have to determine on a case-by-case basis if the indirect attack in question can be used for this purpose. For example, an Indirect attack that takes the form of Lightning summoned from the sky would not be helpful for this purpose, but an Indirect attack based on a projectile that can alter course in mid-flight could make the necessary maneuvers. Working out such attacks is slightly different for each case. An explosive attack against the port is pitted against an OV/RV of 08/24. A successful hit means that the explosive attack enters the opening, damaging the Emplacement as normal and catching Romero’s head in the blast radius. Indirect attacks are pitted against an OV/RV of 12/06. A successful hit means that the attack has negotiated the passage behind the port and struck Romero’s head directly. In either case, a miss will usually hit the Emplacement anyway, being resolved as an attempt to destroy an inanimate object: Attack EV as AV/EV vs. the Emplacement’s BODY of 24 as OV/RV. The Emplacement is often set in terrain that makes getting a good view of the port difficult, at least from ground level. Unless the attackers can fly, they may have to explore the landscape surrounding the Emplacement to find a good vantage point from which to assault the opening. The Demon Spitter will take this opportunity to build up an army of hellspawn to engulf its attackers, making this sort of raid a very perilous challenge. 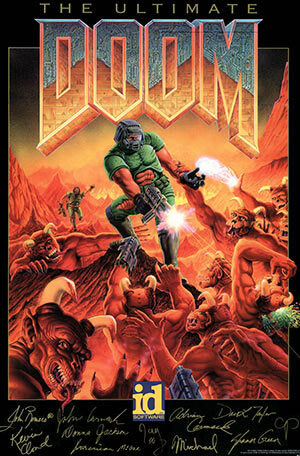 Source of Character: DooM video games (Ultimate DooM, DooM ][, Final DooM).